It won't be cheap, but it will be a once-in-a-lifetime experience. Though we’ve been living in the Space Age for more than half a century, going into space remains an extreme rarity. Fewer than 600 people have gone above the Kármán line — the point, about 62 miles above Earth, that marks the beginning of space — and all were put there by the U.S. or another nation’s government. But the rise of private spaceflight companies like Virgin Galactic and Space X means that the final frontier may soon be within reach of a great many more of us. The firms have announced plans to put private astronauts, a.k.a. space tourists, on orbital or suborbital flights within the next few years. Initially, the cost of a ride on one of these rockets will be hundreds of thousands of dollars at a minimum. That puts the experience within reach of only the wealthiest people. But advances in rocket and capsule design are expected to lower the price to the point that people of more modest fortunes are able to afford a ticket. Some projections put the global space tourism market at more than $34 billion by 2021. What exactly is in store for space tourists? The excitement of a rocket ride and a chance to experience weightlessness, for starters. And the bragging rights are hard to beat. But some say the biggest benefit of going into space is getting a dramatic new outlook on life on the fragile blue marble we call home. It’s a perspective shift that could have profound implications not just for individuals but also for society at large. Virgin Galactic plans to offer suborbital jaunts into space, with customers being treated to six minutes of weightlessness along with that one-of-a-kind view. The Las Cruces, New Mexico-based company says more than 600 customers have signed up, including Leonardo DiCaprio, Katy Perry, Ashton Kutcher, and superstar physicist Stephen Hawking. The price of a ticket stands at $250,000, with registration open for anyone who has that kind of extra cash on hand. On June 1, Virgin successfully tested SpaceShipTwo Unity. The six-passenger spacecraft glided more than nine minutes to the ground after being released from an airplane flying at 50,000 feet. The company plans to make several more unpowered tests before allowing Unity’s rocket engine to fire up so that, following its release from the plane, it can soar into space. The company has been promising flights since unveiling SpaceShipTwo in 2009. But a series of bruising setbacks, including a 2014 crash that claimed a test pilot’s life, extended the craft’s test phase. 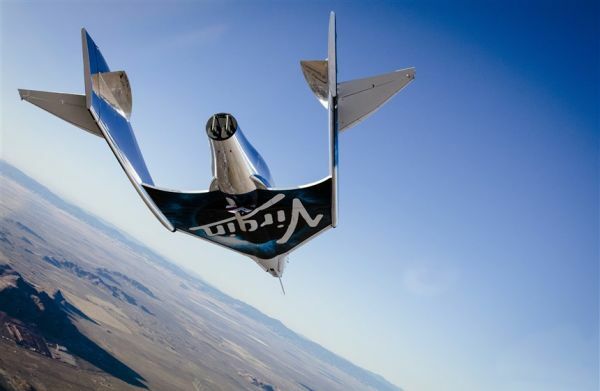 Midland, Texas-based XCOR Aerospace sought to offer suborbital flights similar to those envisioned by Virgin Galactic. But in 2016, the company halted development of its space-plane, Lynx. On July 5, it announced that all remaining employees had been laid off but stopped short of saying it was out of business. Between 2001 and 2009, Space Adventures arranged for seven paying customers (including Charles Simonyi) to blast into space for a stint aboard the ISS. Each of these private astronauts got to the station aboard a Russian Soyuz capsule. Space Adventures has unspecified plans to send up more customers but can’t now. Since the end of NASA’s Space Shuttle program in 2011, all seats on Soyuz have been filled by American and Russian astronauts. Amazon CEO Jeff Bezos has been eyeing the space tourist market with his private space company, Blue Origin. The company recently posted computer renderings of the opulent interior of its reusable New Shepard capsule configured with six plush leather chairs and six enormous windows. 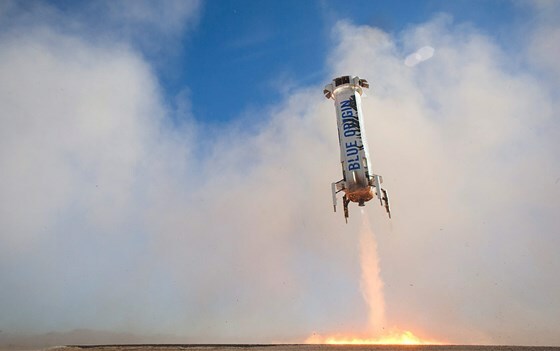 Blue Origin has yet to say exactly when flights might begin or how much they would cost. Bezos said in March that he’d like to have his first customer flights next year. The company has a sign-up form for those interested in reserving a seat. Of all companies offering, or expecting to offer, flights into space, SpaceX may have the most compelling story. Earlier this year, CEO Elon Musk announced that the company had accepted payment from two customers for a weeklong flight around the moon and back to Earth, largely retracing the path taken by Apollo 8 astronauts in 1968. Musk has said that the mission could come as soon as 2018. Some are dubious, however, given SpaceX’s reputation for offering overly optimistic schedules. How much the customers paid for the flight is unknown, but estimates have ranged from $80 million to $175 million per seat. SpaceX has also announced the even more ambitious goal of sending colonists to Mars starting in 2025. Musk has said that once the company is able to build its massive 100-person Mars Colonial Transporter spacecraft, a trip to the Red Planet will cost about $500,000 — roughly the price of a middle-class house in California — with the goal of eventually bringing the price down to $100,000. Tucson, Arizona-based World View Enterprises has announced plans to send passengers to an altitude of 100,000 feet in a luxury gondola suspended from a gigantic helium balloon. It’s not quite space, but at that altitude, it’s possible to see the blackness of space and the curvature of the earth. Eight customers would spend two hours ascending, two hours in cruise, and another hour or two returning to the ground. Though lacking the cachet of true spaceflight, the World View flights promise a more refined experience; customers would be able to clink champagne glasses while taking in the view from enormous picture-frame windows and posting their photos to social media using onboard Wi-Fi. 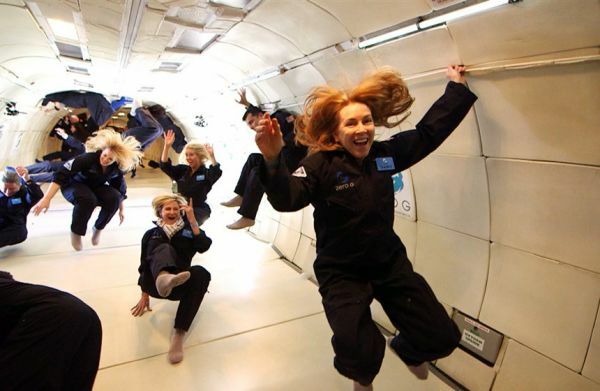 Finally, there’s Zero Gravity Corporation, an Arlington, Virginia-based company that already offers flights aboard a specially modified Boeing 727 that dives steeply to give paying passengers brief periods of weightlessness. As with the World View balloons flights, these parabolic flights aren’t actually trips into space. But with a ticket for the experience running a relatively modest $5,000, it might be the cheapest way to get a sense of what it’s like above the Kármán line. Zero G flights take off weekly from airports across the U.S., including Orlando Sanford International near Orlando, Florida, McCarran International near Las Vegas, and Moffett Federal Airfield near San Francisco. So You Want to Be a Space Tourist? Here Are Your Options was originally published by NBC Universal Media, LLC on July 21, 2017 by Adam Mann. Copyright 2017 NBC Universal Media, LLC. All rights reserved. Reaching the Stars: Is Human Hibernation Really Possible?